View basket “Photometer Cuvettes (Glass)” has been added to your basket. 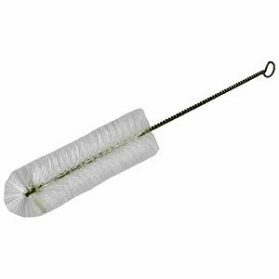 *Please note there is currently a lead time of 7 working days on this product. 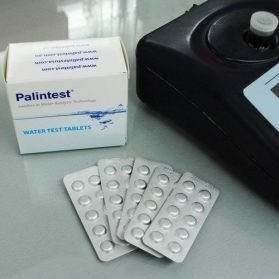 A comprehensive water test kit containing all the accessories you need to carry out portable water quality testing. 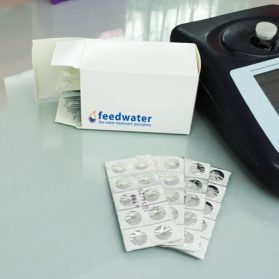 Simply add the reagents you need to test your water and customise your water test kit. 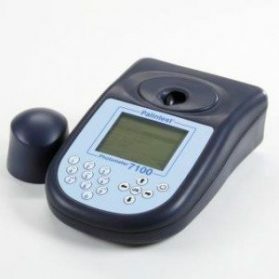 The Photometer 7500 Bluetooth Standard Kit is the practical choice for the modern water operator. Improved Data Management – The simple test method is just the start. Results generated are stored with Sample ID for multiple site management, Operator ID for user management and additional result details for traceability. Bluetooth® SMART Connectivity – Link to the latest generation of smartphones and tablets with the most reliable and low energy Bluetooth® system. Upload data ‘on the fly’ or as a batch when more convenient to the new Aqua Pal app and the secure Palintest Portal. 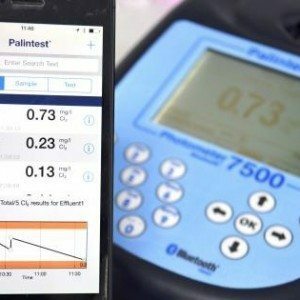 Huge Range Of Parameters and Tests – From drinking water to wastewater, private wells to power plants the Photometer 7500 Bluetooth has the capability to measure over 50 parameters using over 100 methods. 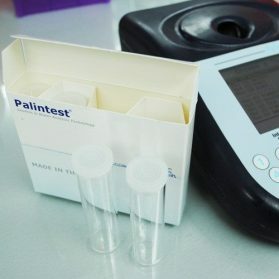 Control and compliance of all types of water samples included in a single instrument. Up To 30 Additional User Defined Tests – Create up to 30 additional tests to truly customize your Photometer 7500 Bluetooth®. Hotkey Operation For Favourite Tests – Assign the 10 most used tests to the keypad for single button access. Completely flexible, choose from any of the pre-programmed tests available or User Defined Tests and change when required. Waterproof USB Port – For data download, upgrade to new versions of operating software and uploading additional User Defined Tests, the USB port is also used to provide mains power when available. Ideal For Laboratory or Portable Use – Constructed to IP67 waterproof standards, the low power use and robust construction support operation in even the most challenging environment. Enhanced Validation of Results – Provide an audit trail to result data with the Check Standard validation mode now included as standard. Simply enter the certified values, follow the on-screen prompts and demonstrate result validity automatically.